Joyce Marie Hamilton obituary. Carnes Funeral Home. Apr 12, 2019 I can still see her smile, cheering along the family and especially the little ones to have a good time. Forever in my heart, sweet-Joyce. 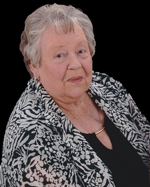 Joyce Marie Hamilton, 84, of Santa Fe, Texas passed peacefully on April 10, 2019 at home after a lengthy illness. She is preceded in death by her parents, Earl Nash and Marie Phillips of Texas City, Texas, and her late husband of 33 years, Marion Eugene Hamilton of Santa Fe, Texas. Joyce was born in Mishawaka, Indiana on January 20, 1935 and had a younger brother, Patrick Nash. Their family moved to Texas after her father returned home from the military to work for the railroad in Texas City. This is where she said she found her roots and transitioned from being a Yankee to Texan. Her parents opened and operated Nash's Rock Shop on 19th Ave in Texas City for many years where they sold handmade jewelry and novelty items. Joyce married Marion Eugene Hamilton Sr. in May of 1955 and was a homemaker as well as joining her husband in the automotive business for many years and could still recite the firing order of several different motors. Later she worked for the San Jacinto Methodist Hospital where she retired in 2004. She was an avid crafter and spent much of her time sewing clothing for family and crocheting blankets. She spent many of her days reading her favorite romance novels or even a good murder mystery. She loved “her” birds, she fed and admired them daily and they would return every spring to her yard. In her younger years she spent a lot of time tending to her extremely large vegetable garden and her plethora of flower gardens. Joyce had a heart of gold and was a wonderful role model, teacher, advisor, and listener to all her family and friends. She will be deeply missed and remembered fondly as she walks humbly with God in heaven. She is survived by her step father Cloise H. Phillips and her Children: Donald (Butch) Hamilton and wife Phyllis, Eugene (Corky) Hamilton Jr. and wife Loretta, Theresa Longcoy and her husband Charles (Chuck), and David Hamilton and his wife Laurie. Her grand-children: Robert Hamilton and his wife Deanna, Jason Hamilton and his wife Paula, Kevin Hamilton and his wife Jennifer, Chrystal Heath, Scott Longcoy, Dawn Sharp and her husband Rusty, Jarrod Hamilton, Nicholas Hamilton, Zaden Hamilton, Niki Luke, Stephanie Luke, Brian Luke, Stephanie, Amber, Alyssa, Logan, Storm, and River. Her Great- grandchildren: Austin Hamilton, Michael Barrera and son Corbin, Gracie Hamilton, Savannah Hamilton, Carter Hamilton, Dylan Longcoy, Andrew Mathisen, Blayke Redmond, Hailey Redmond, Morgan Hamilton, Kaleb Hamilton, and Ella Sharp. Her celebration of life will take place at Carnes Funeral home on Thursday, April 18, 2019 in Texas City. Visitation will be 3:00 pm to 5:00 pm with Memorial Services starting at 5:00 pm. After the memorial, the family would like to invite friends and family to join us for some shared memories and good food in the banquet room.